Today’s first podcast episode of 2017 is with Ry’lee Scott of Darling Me Avenue who shares her own story of transformation, of how after a divorce in her early 20s that left her with deep feelings of shame and rejection, that with the help of her parents, others who shared their own experiences with divorce, a good therapist and some of her own determination, she finally learned to own and fall in love with her own story, began to find adventure, and started living her dream of starting her own fashion boutique. Ry’lee openly shares how she was so embarrassed and had prideful darkness that focused so much on what others thought of her after her divorce, that she would hide out in her parents’ basement and punish herself with isolation and thoughts of self-loathing. She had taken the full blame of the divorce on herself. Ry’lee shares how feelings of rejection exceeded that of feelings of loss. She tells of her darkest night and how at that moment she felt a determination to help other women never have to feel this pain of such loneliness. 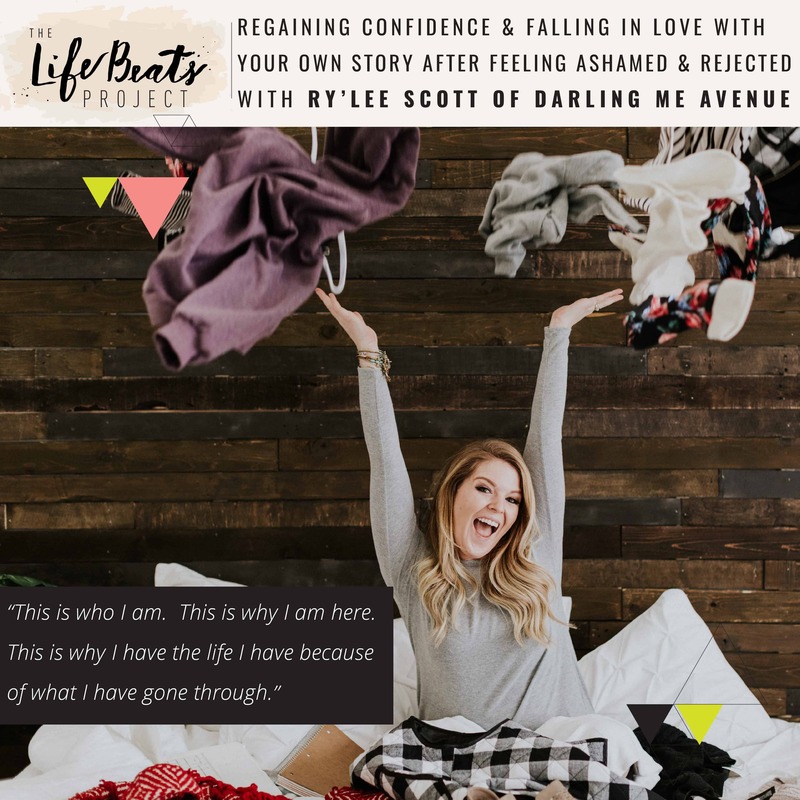 This was a driving force behind the mission of Darling Me Avenue, her online clothing boutique dedicated to helping women embrace their story so they can find their adventure and finally start living their dreams.. Ry’lee tells about her road to regaining her confidence and the things that helped her embrace her own story, realize that everything does happen for a reason, and create a platform to help other women not to be ashamed to share their own story. Listen and be inspired on how you can transform your own darkest moments into light for yourself and others. Want to know if this episode it for you? This episode is perfect for someone who has felt ashamed or rejected and wants to regain their confidence. It is especially perfect for someone who has experienced a divorce, particularly in their early 20s. It can greatly benefit anyone who has experienced a loss or rejection or finds it difficult to not care what people think. It is for someone ready to reinvent themselves and go for their dreams.